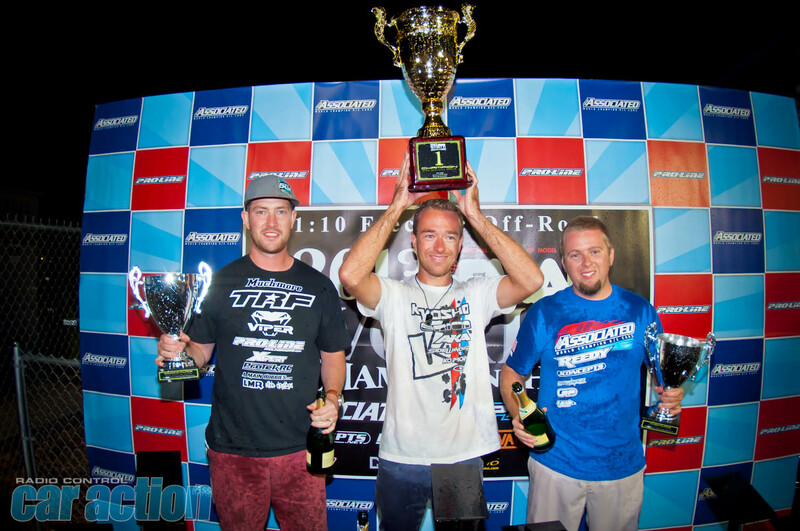 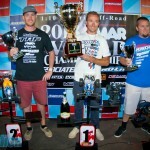 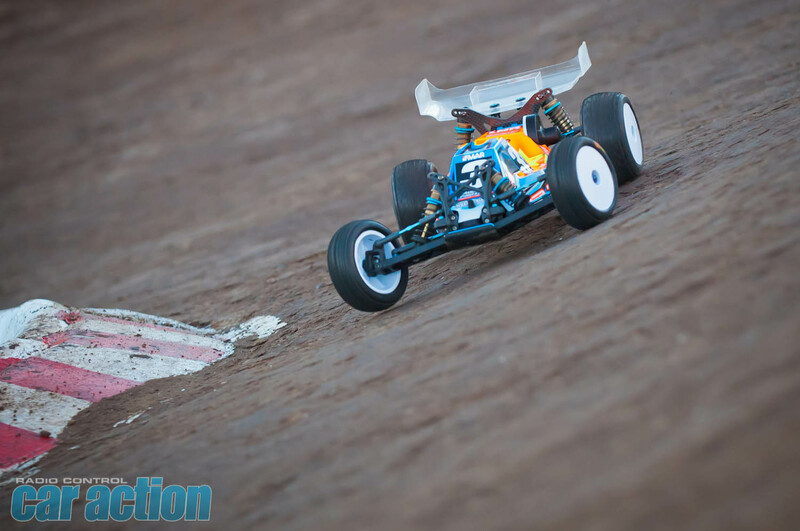 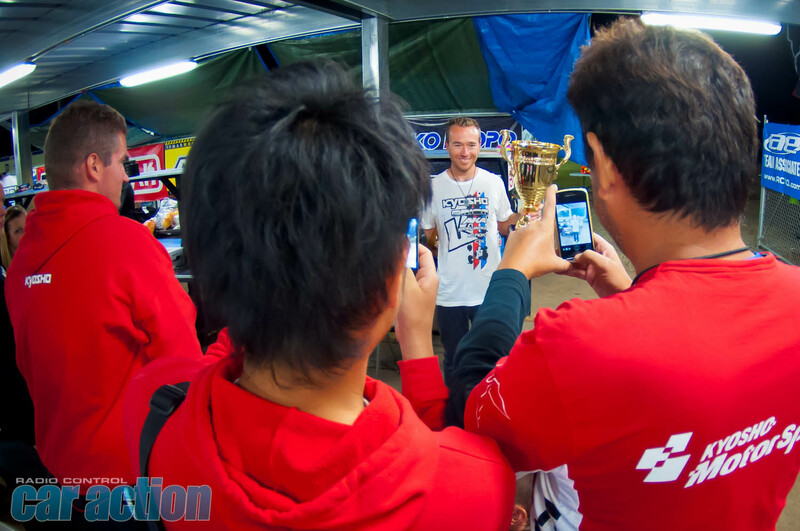 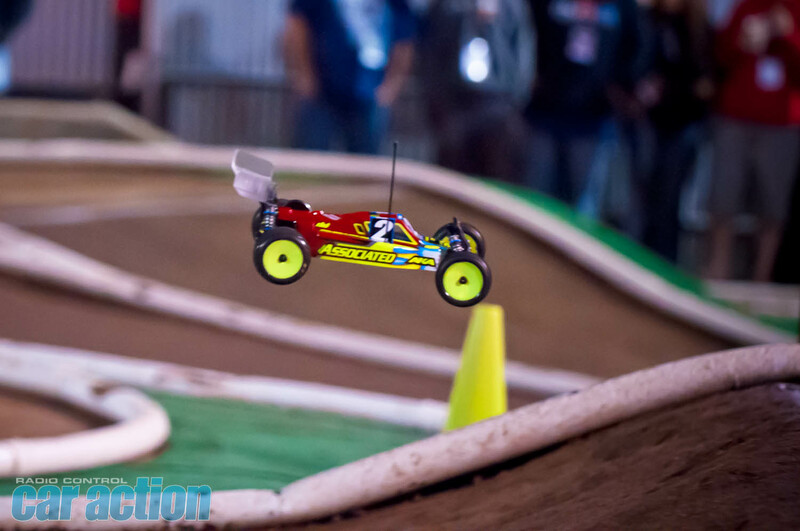 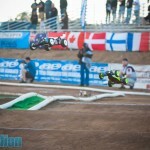 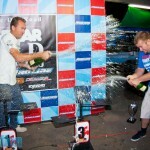 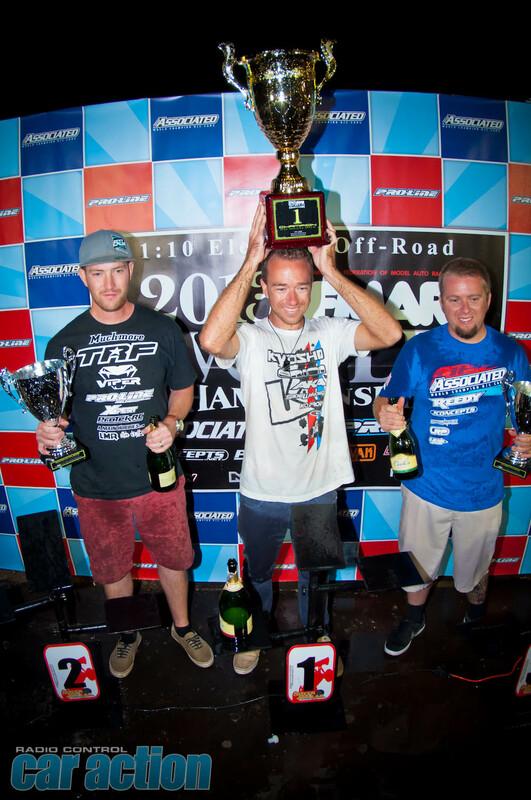 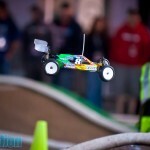 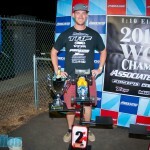 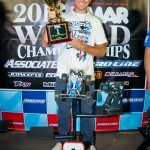 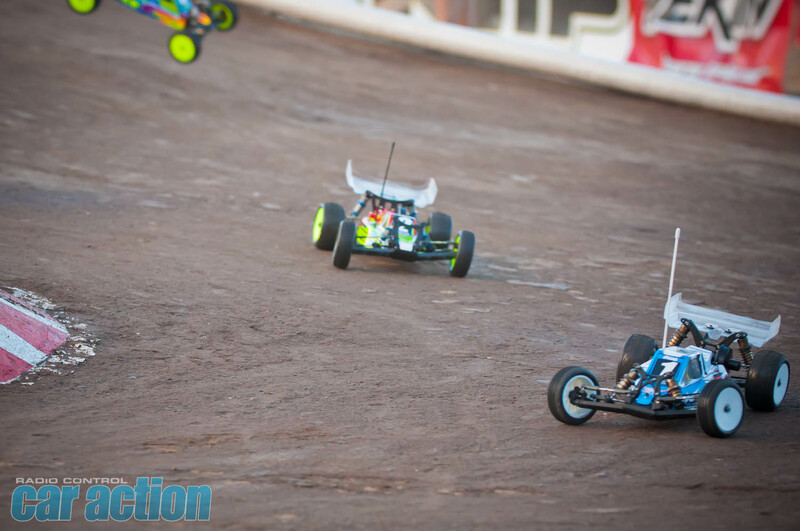 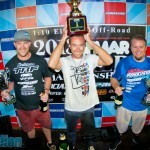 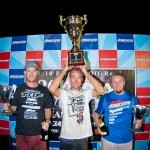 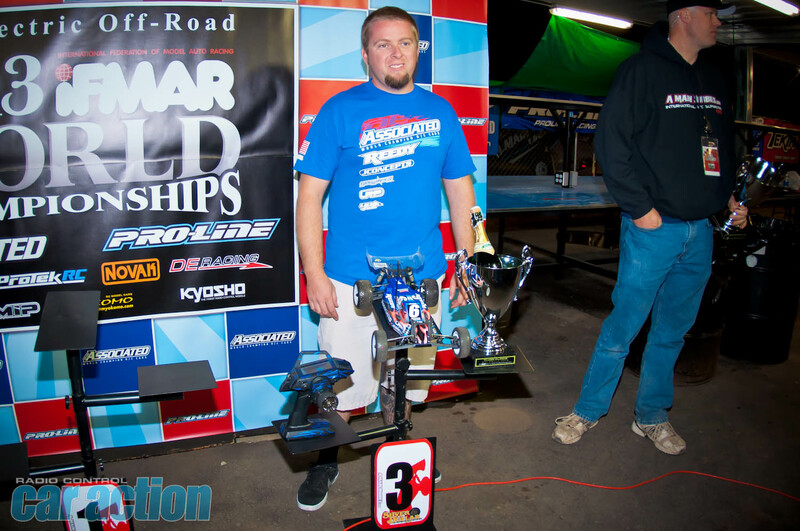 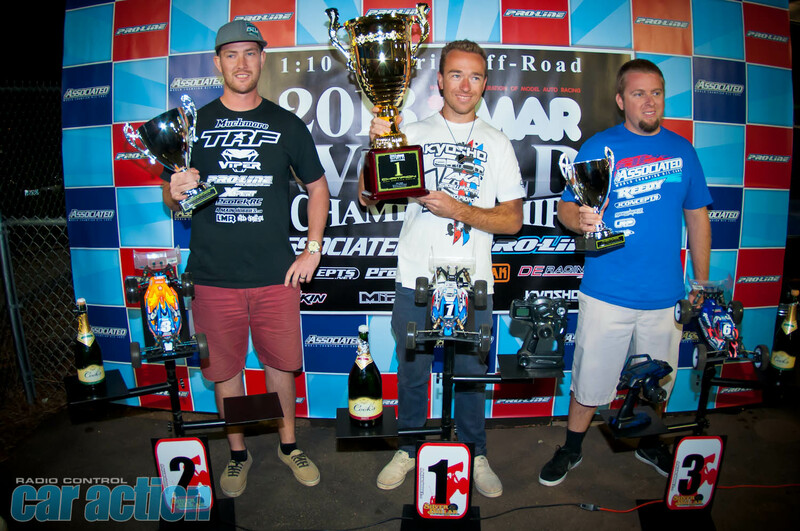 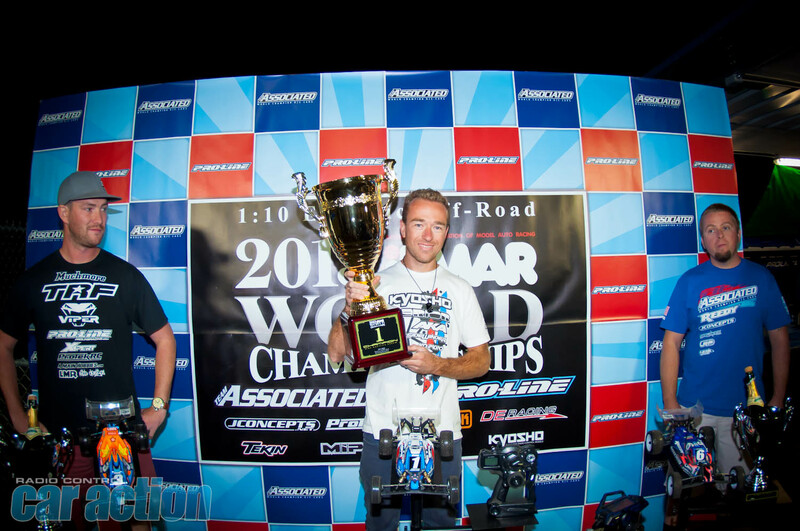 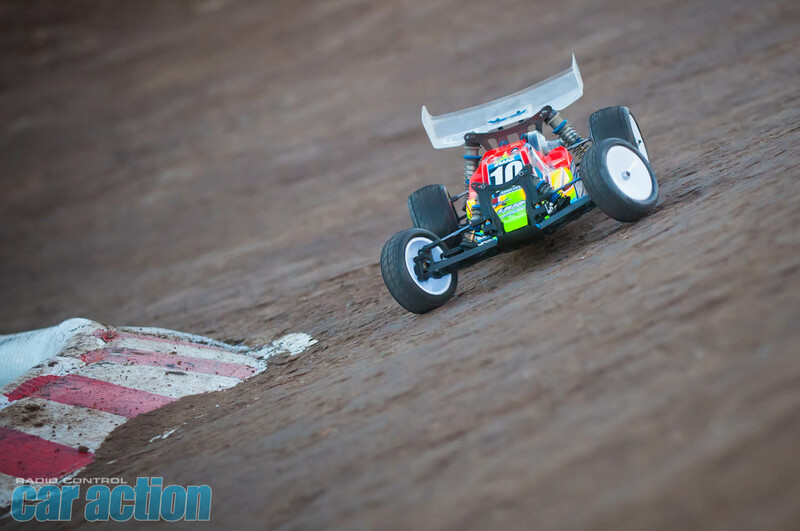 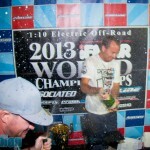 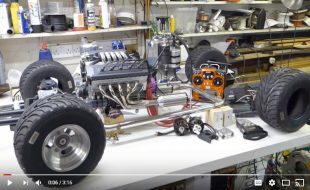 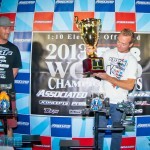 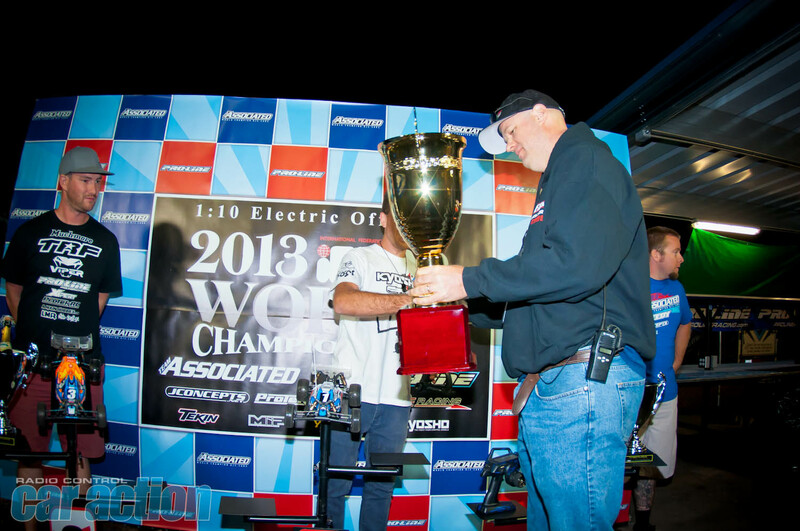 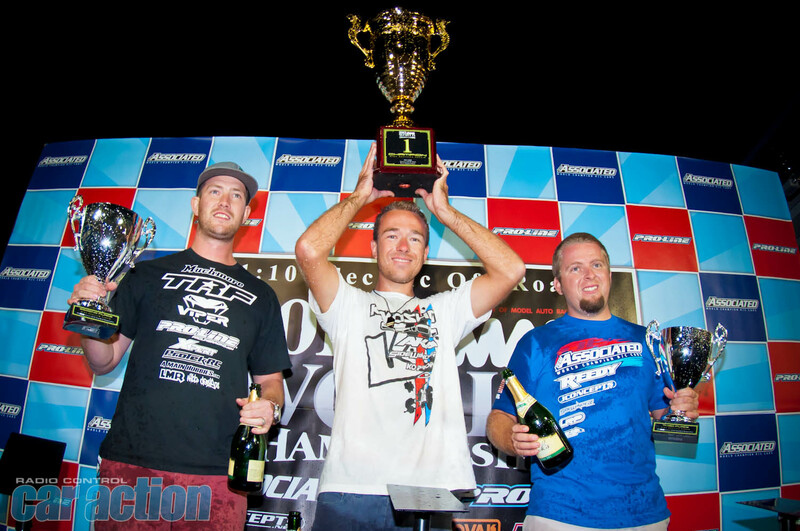 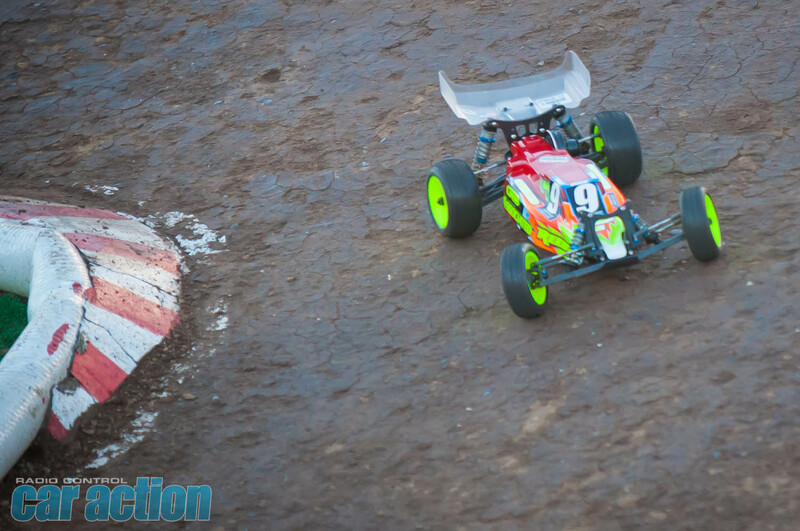 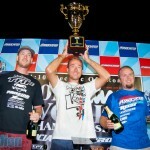 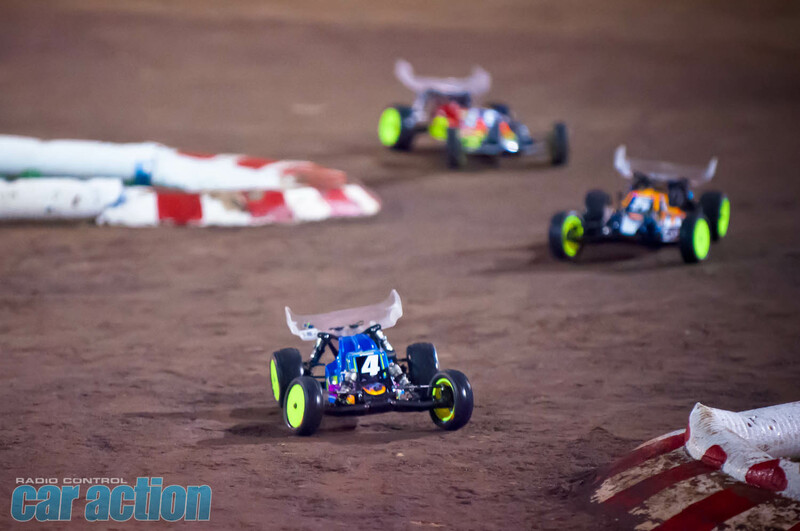 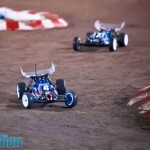 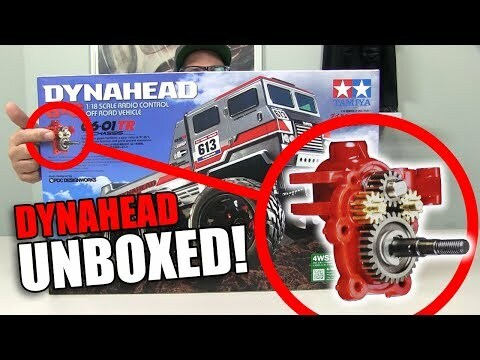 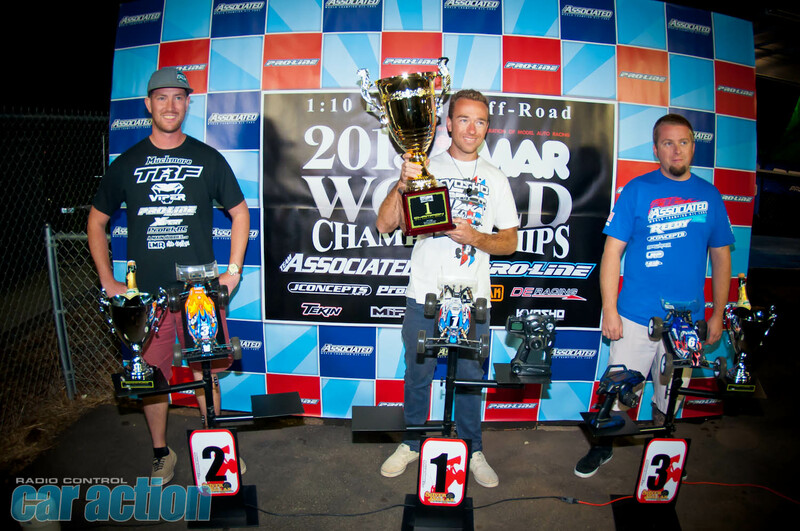 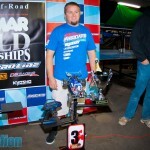 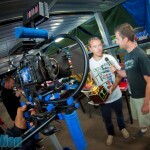 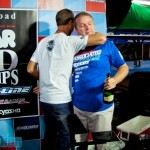 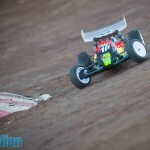 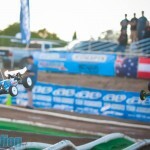 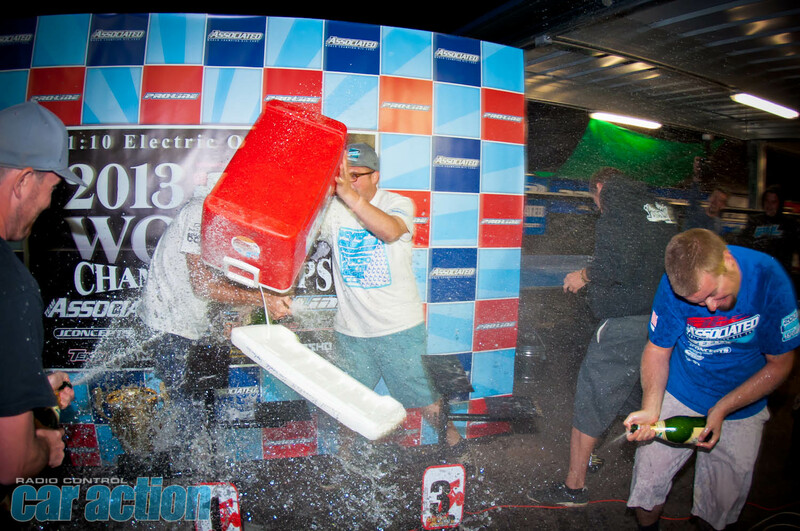 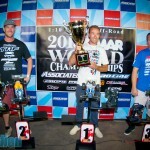 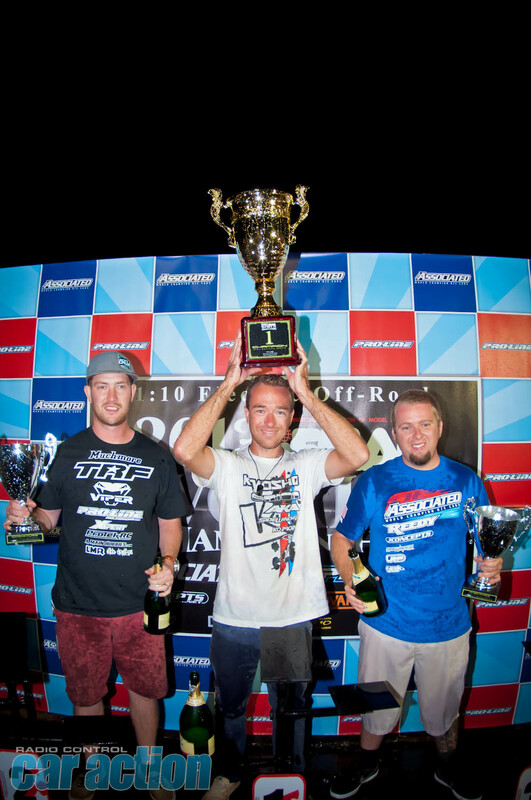 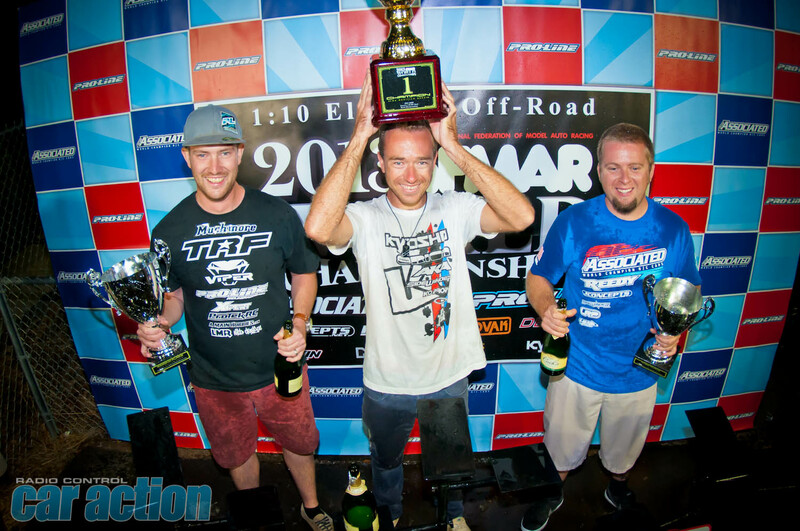 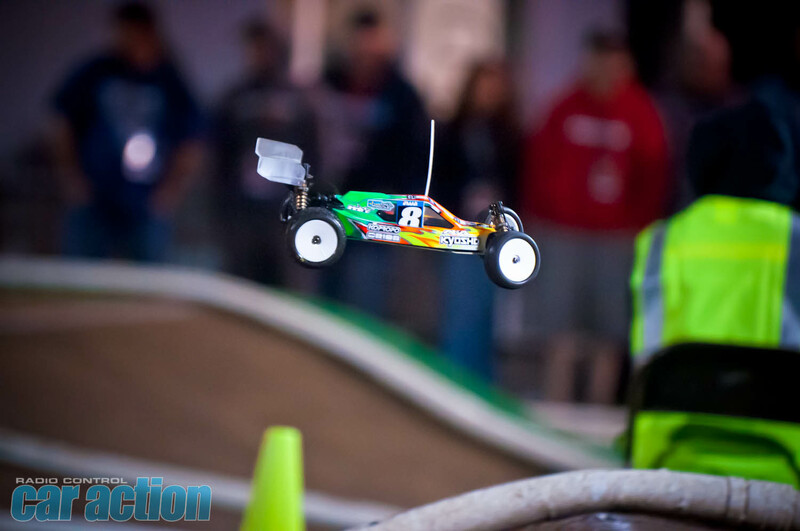 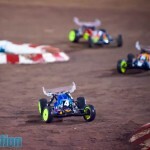 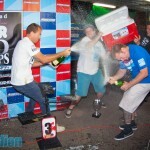 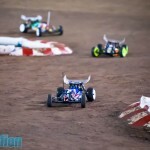 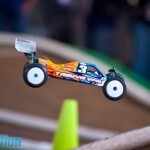 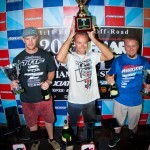 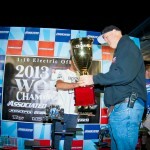 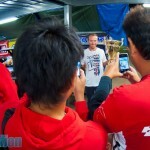 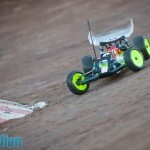 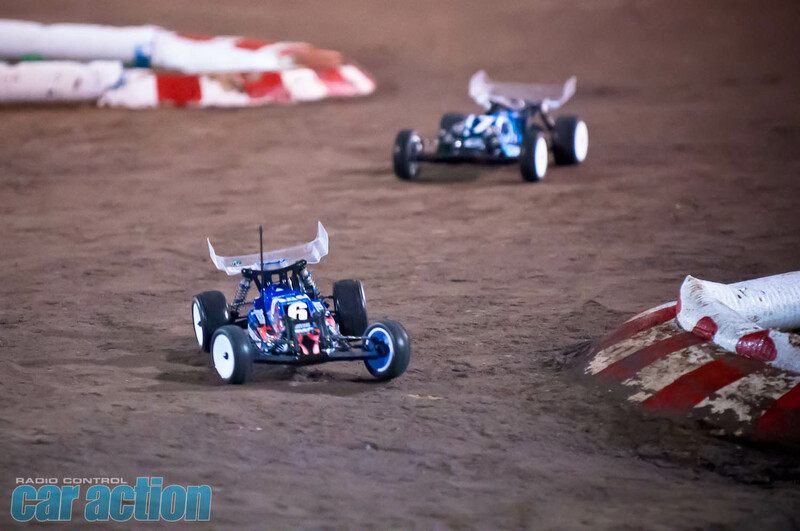 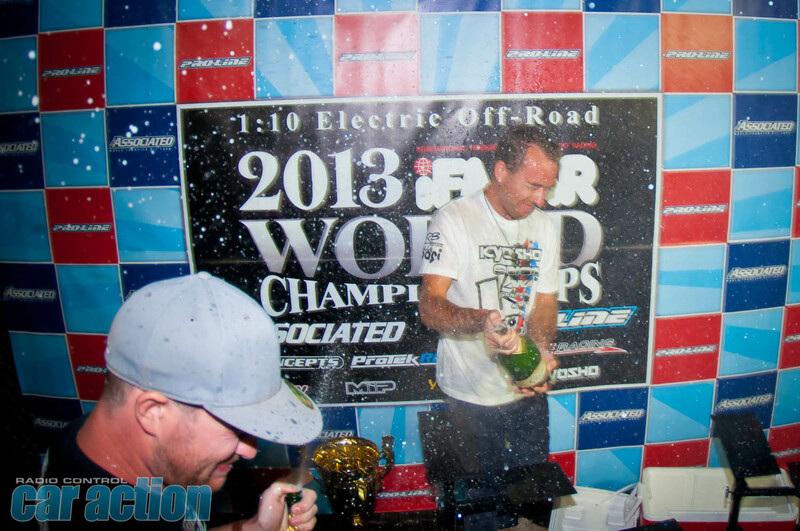 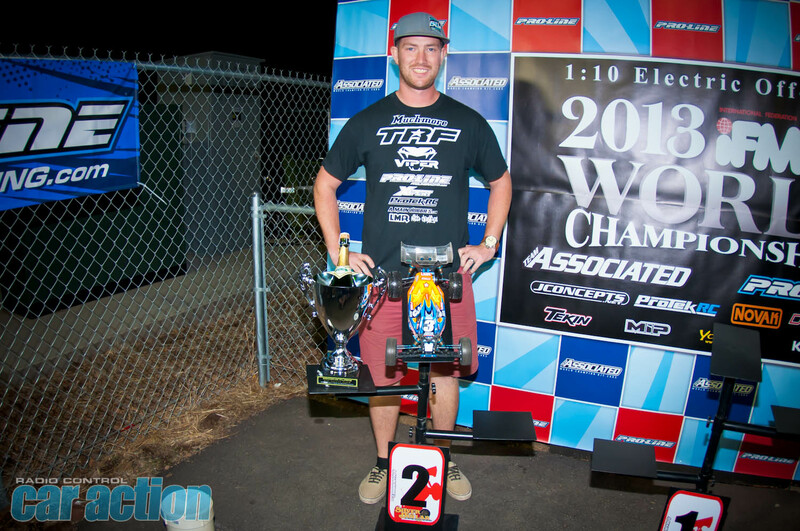 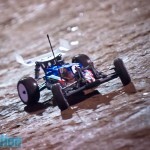 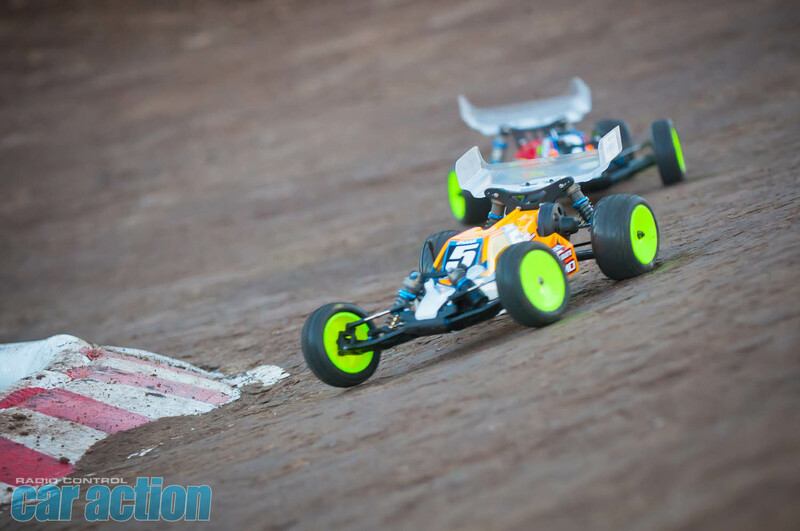 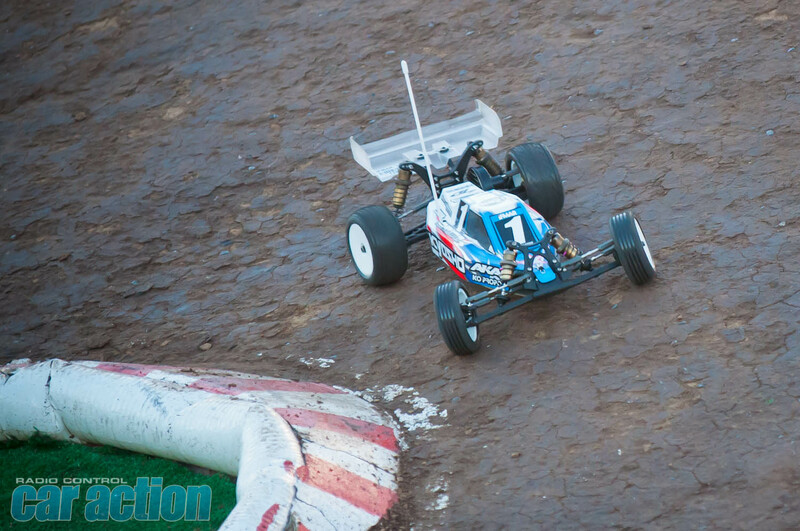 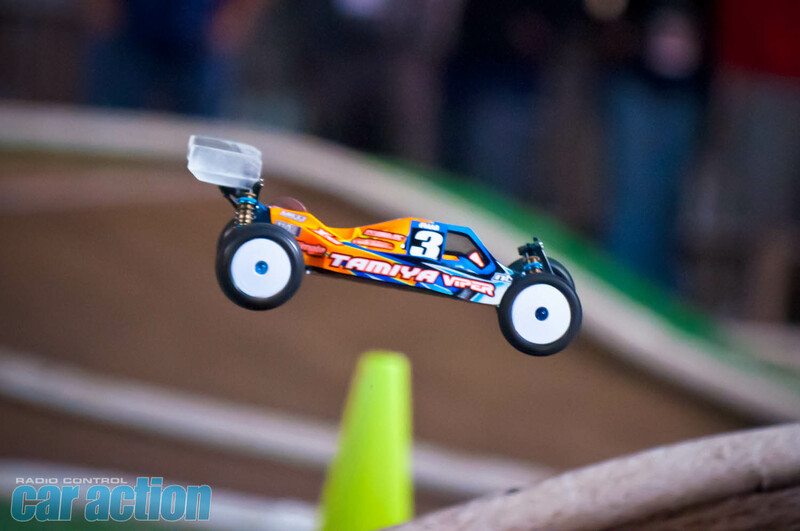 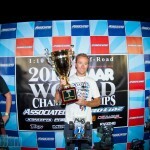 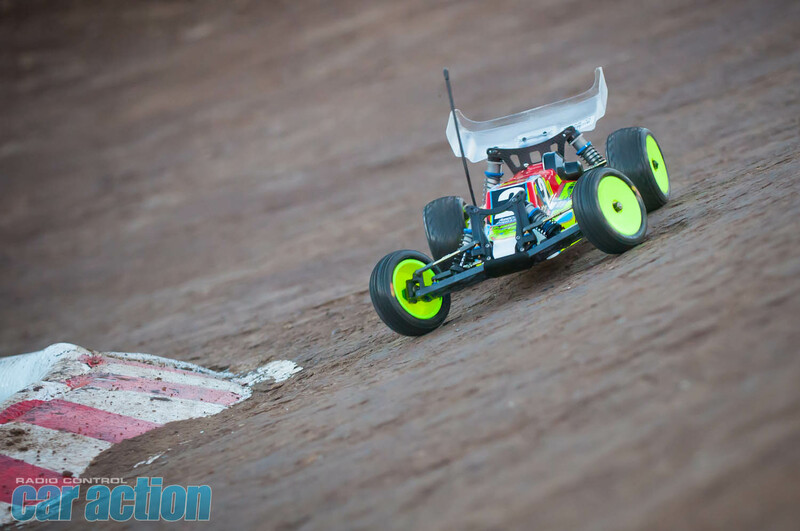 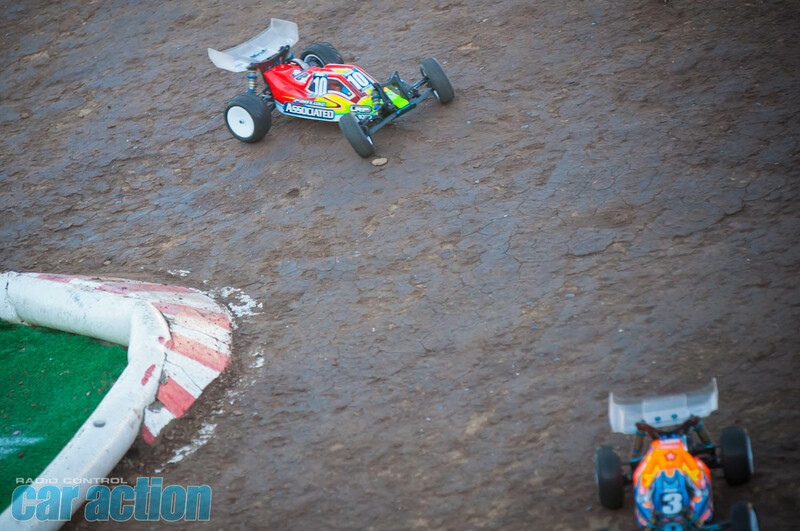 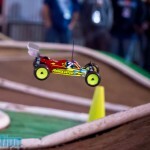 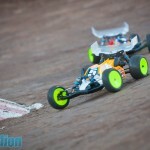 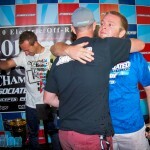 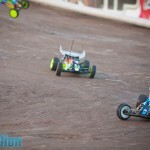 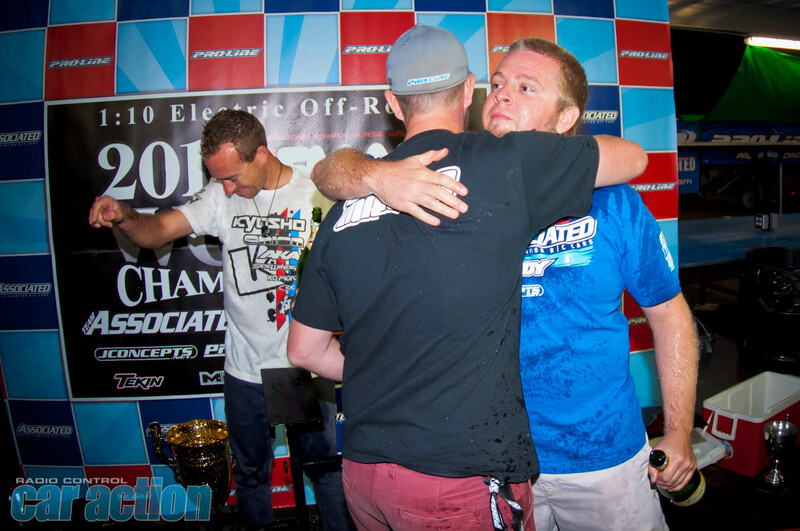 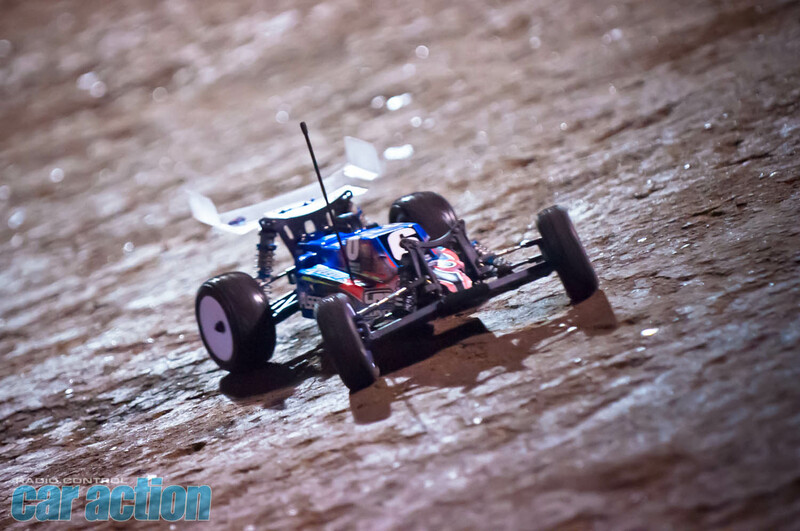 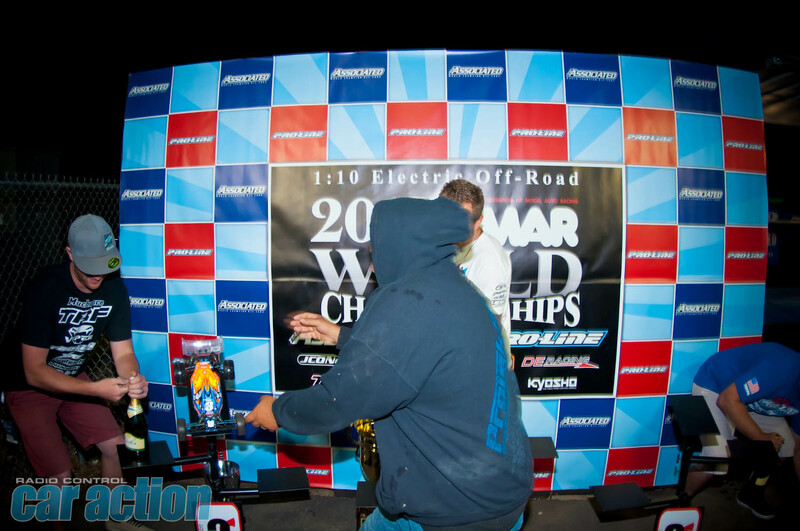 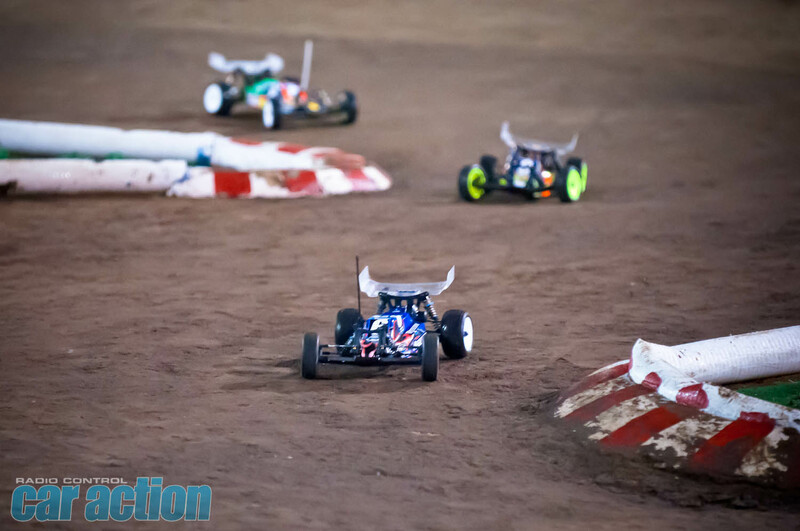 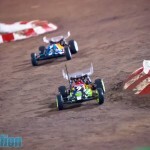 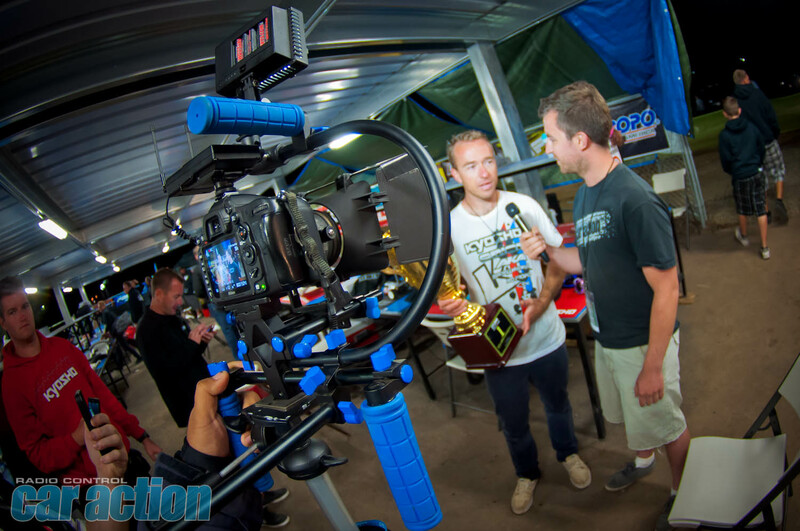 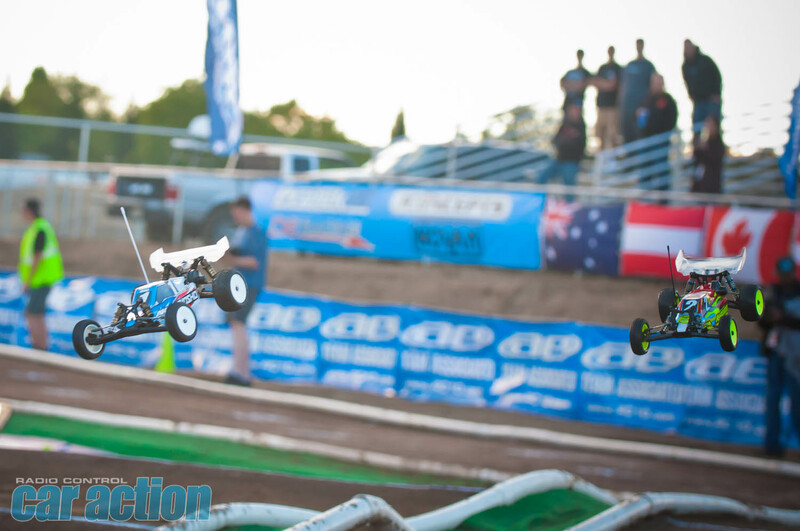 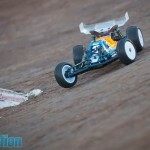 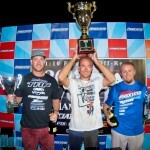 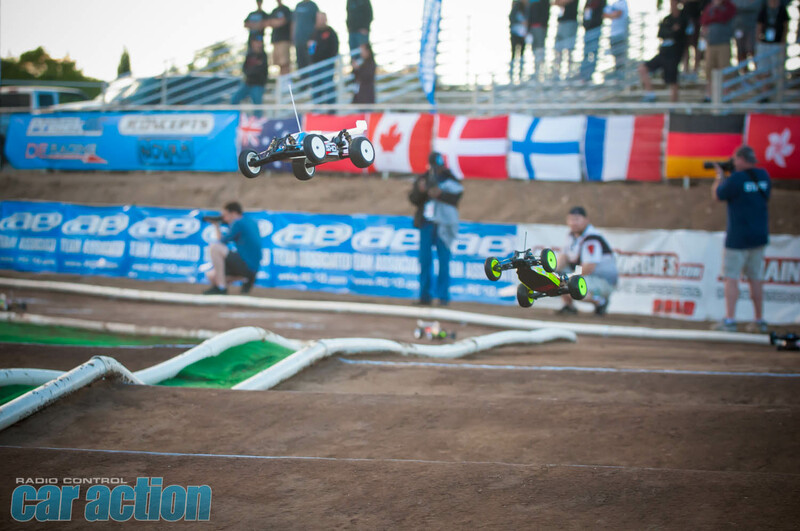 Jared Tebo is the New 2WD IFMAR World Champion! 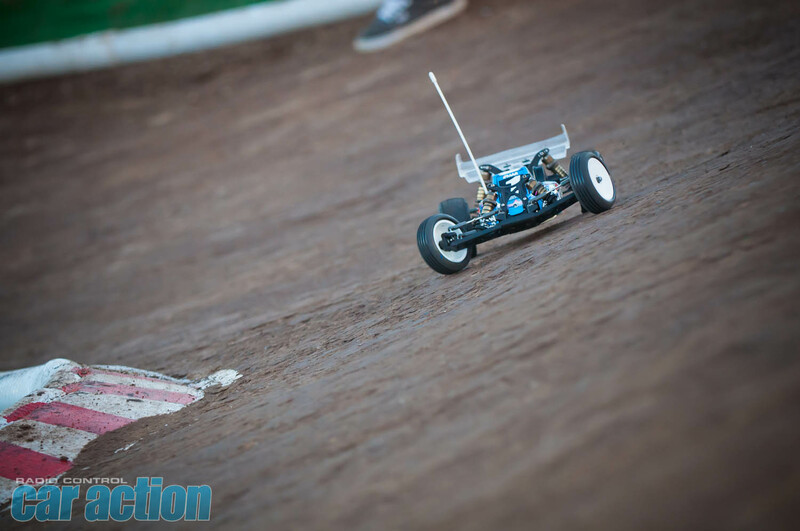 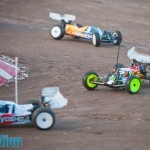 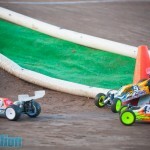 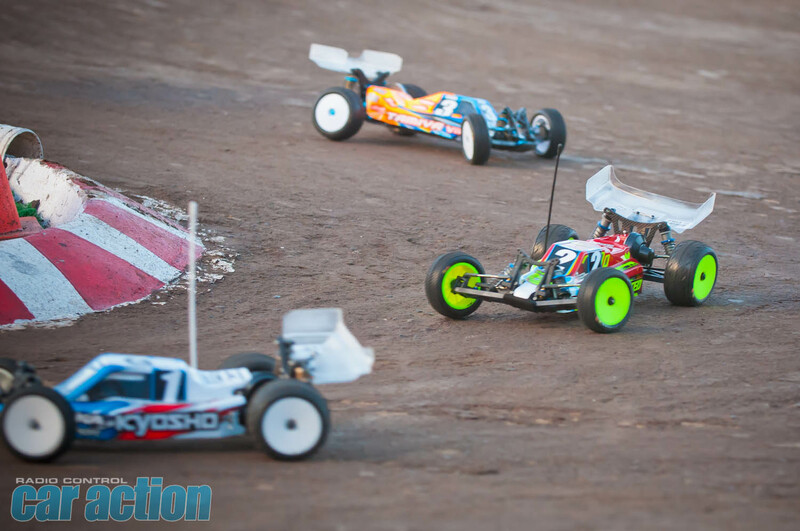 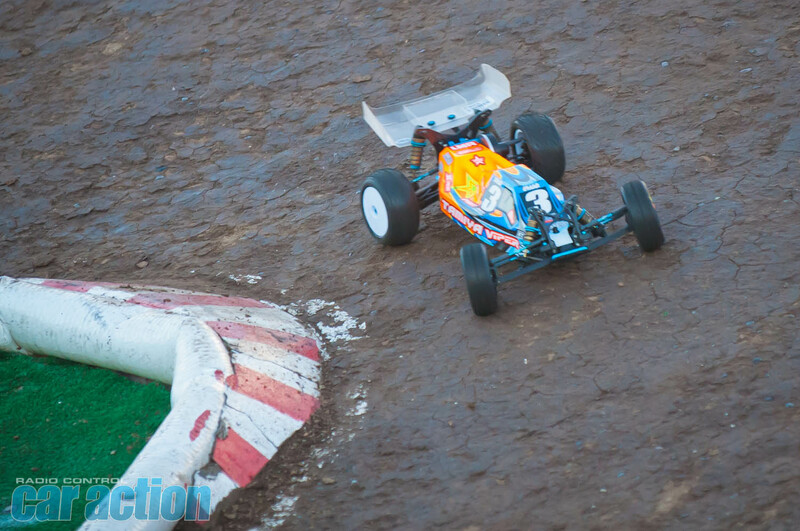 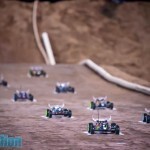 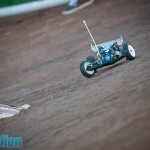 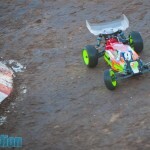 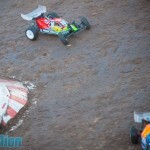 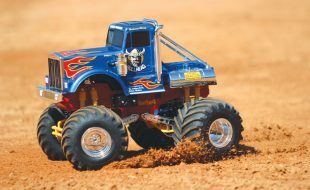 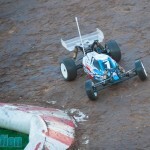 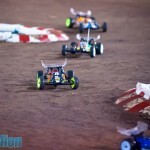 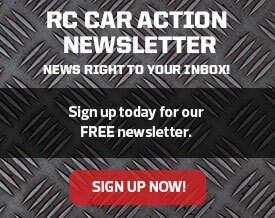 After the rain on Tuesday night caused the cancellation of the fifth round of qualifying and put the 2WD main events in jeopardy, sending the track crew into a frenzy just to get the track back into a condition suitable for racing, the first A-Main got off to a crazy start before the tone even sounded! 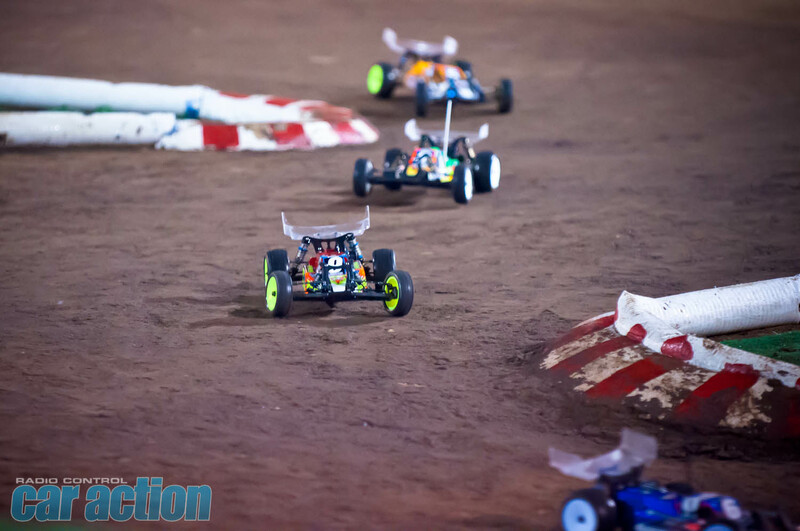 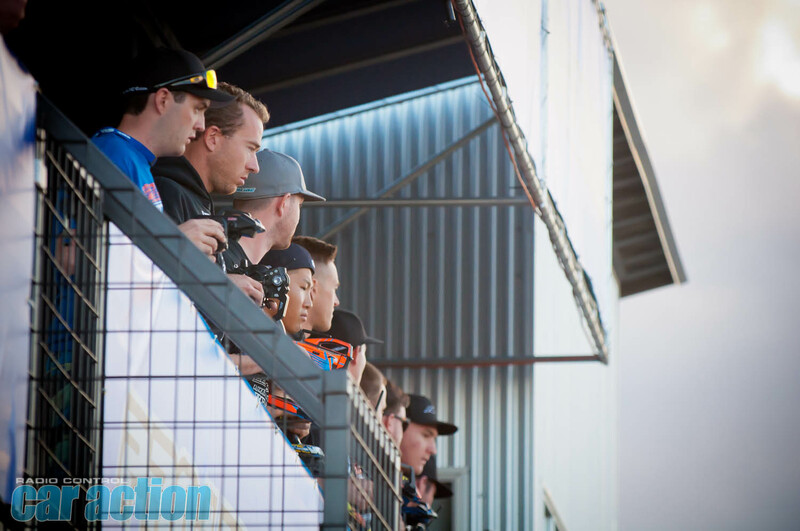 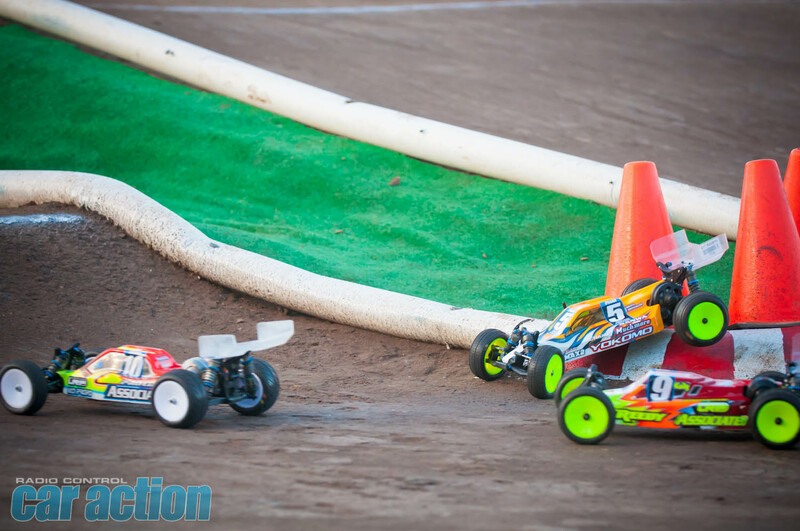 Originally scheduled to be the final practice run for the top ten drivers, IFMAR chose instead to run the race as an official leg of the A-Main due to what looked like another storm approaching – and the drivers were already on the drivers’ stand! 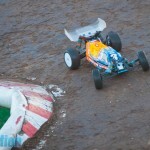 This left several of the drivers scrambling to get ready for the race in just minutes, as they had planned on testing different setup changes and scrubbing in new sets of the handout Pro-Line X2 compound Suburbs tires as they had only run one practice since the track was rebuilt following the previous night’s rainstorm. 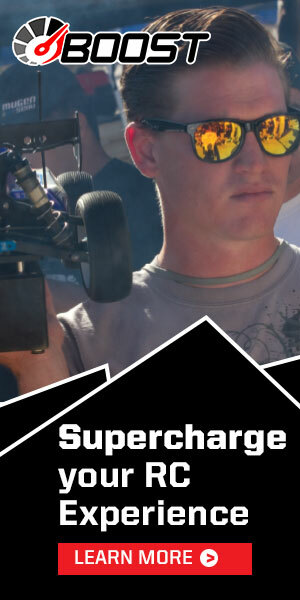 Tenth qualifier Neil Cragg charged from the final spot on the grid and presented the biggest challenge to Top Qualifier Jared Tebo, who held off a last corner pass attempt from the 2005 winner to take the opening round win. 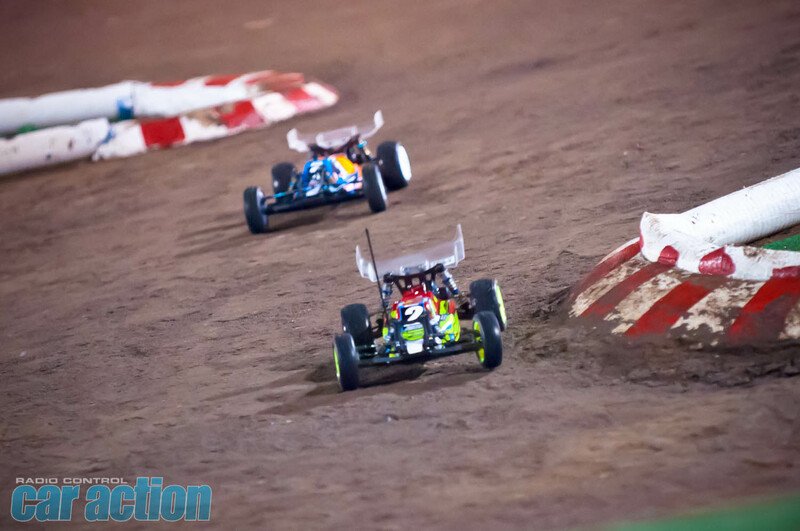 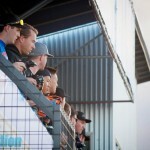 With the shortened schedule from A-Main #1, the second leg kicked off when the first leg was originally scheduled according to the IFMAR timetable. 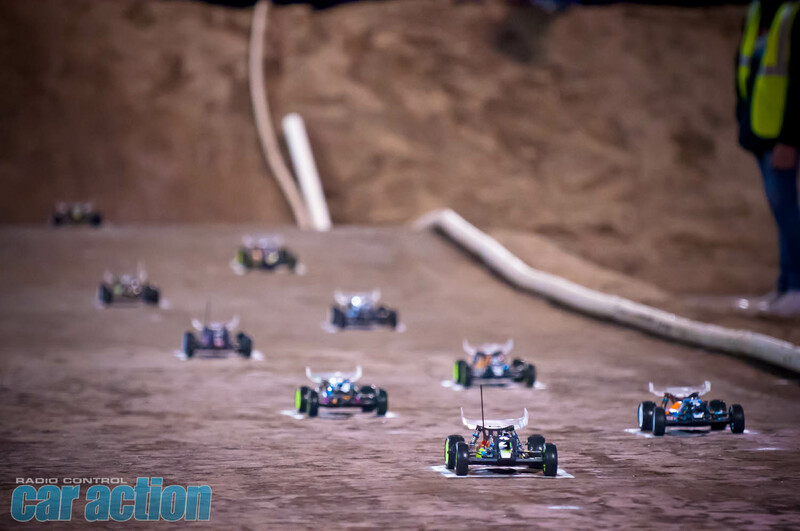 Little more than an hour passed between the two events, barely enough time for the drivers’ heart rates to return to normal and determine any setup changes to make for the still rapidly improving track conditions. 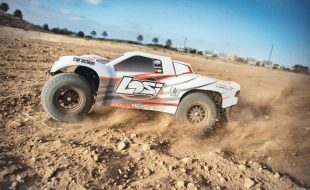 Tebo once again remained calm and collected despite heavy pressure from the drivers behind him, all of whom remained within striking distance of the leader after Tebo’s crash early on. 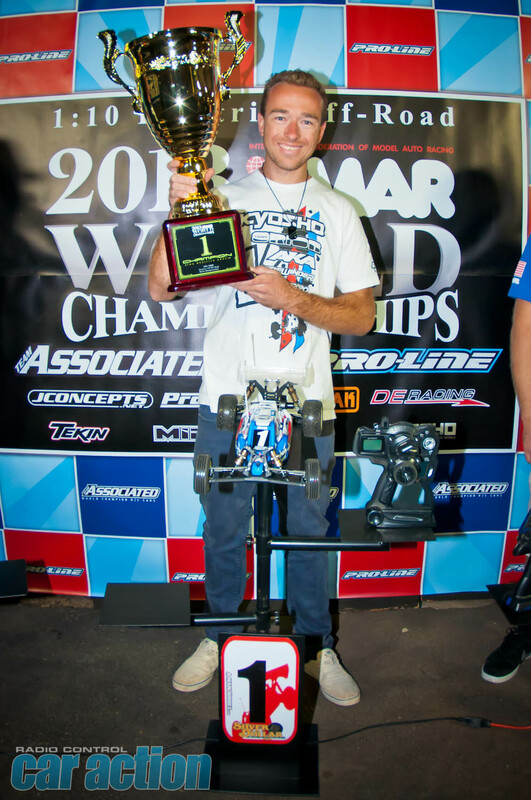 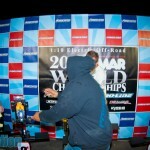 With the new World Champion sitting out the final main event, it was all Ryan Cavalieri’s to lose. 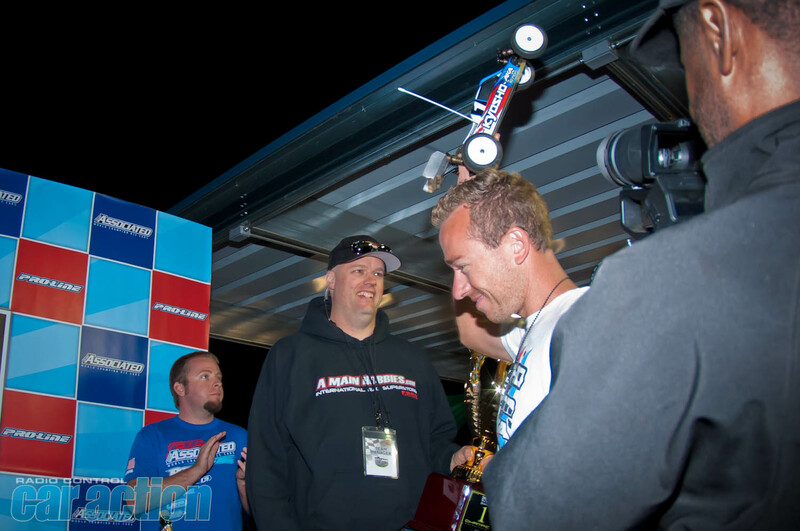 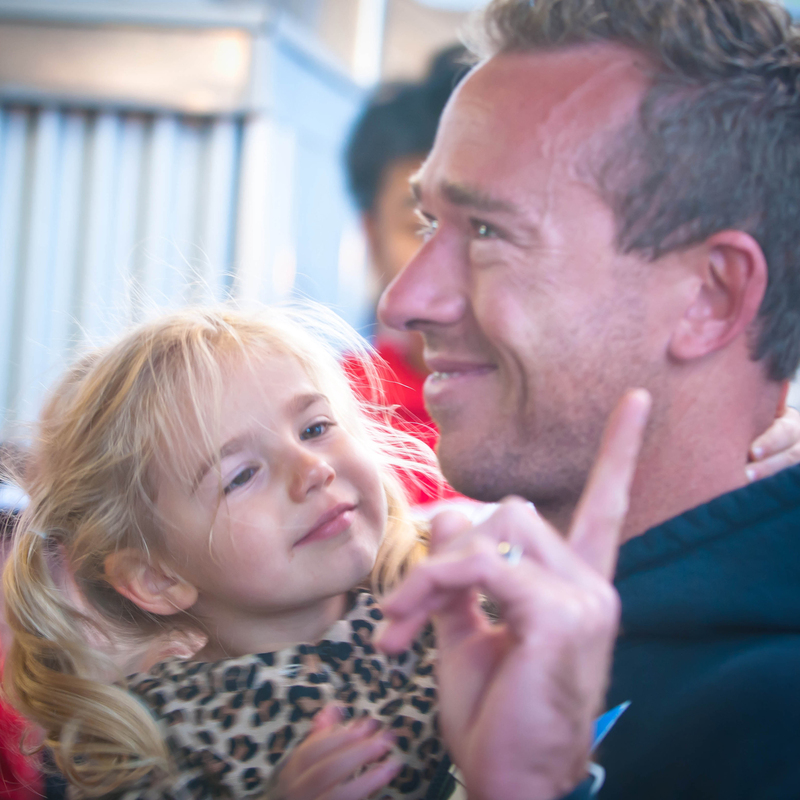 The 2011 Champion contributed to what became a bit of a crashfest, eventually losing out to both Lee Martin and his teammate Ryan Maifield, the near-hero from the previous leg, allowing Lee Martin to capture the overall runner-up position. 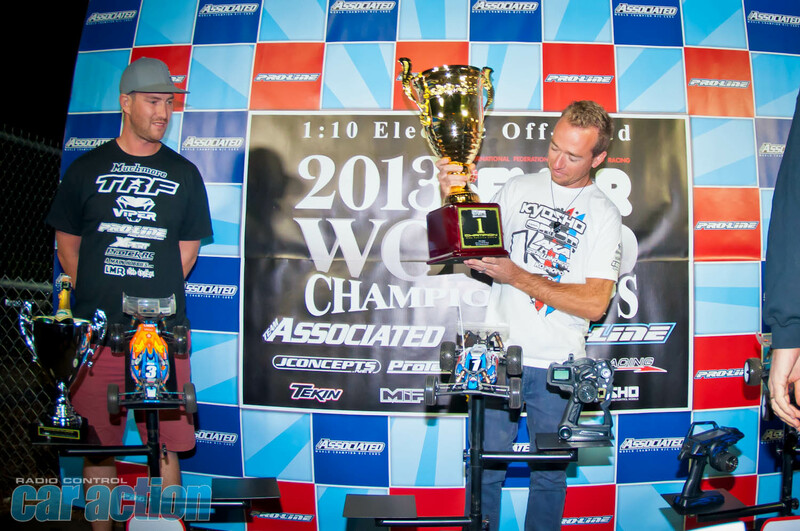 Jared Tebo’s two wins easily clinched the World Championship, while Lee Martin’s win in the final leg earned him a tie with Ryan Maifield which he won by virtue of his better throwout. 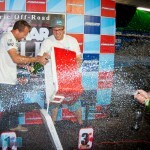 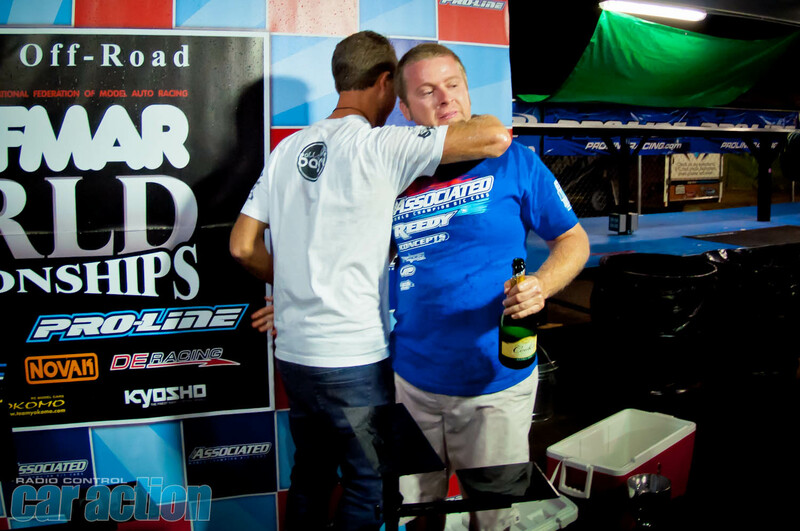 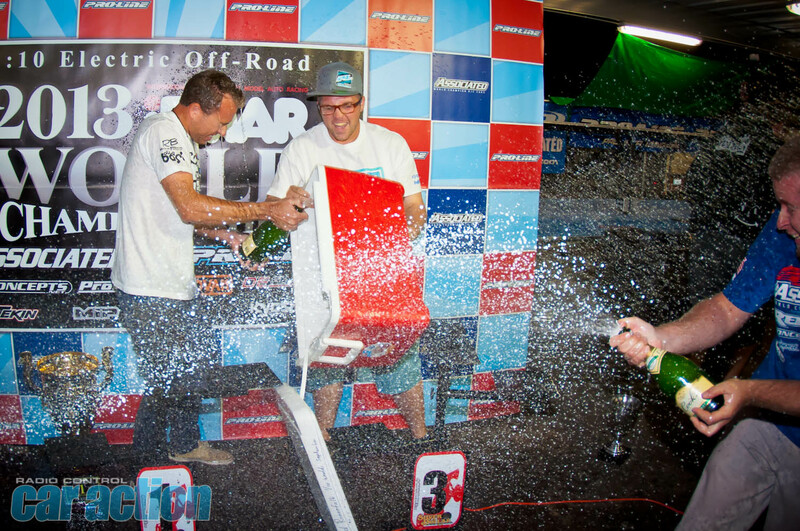 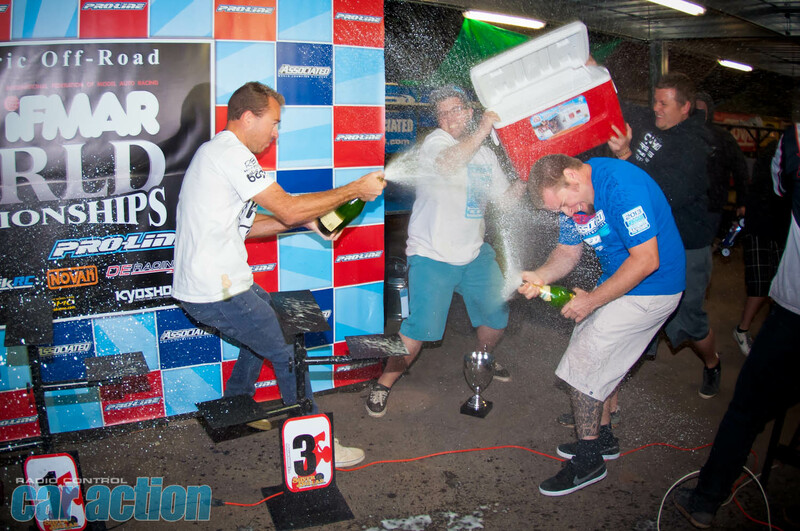 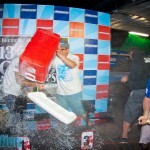 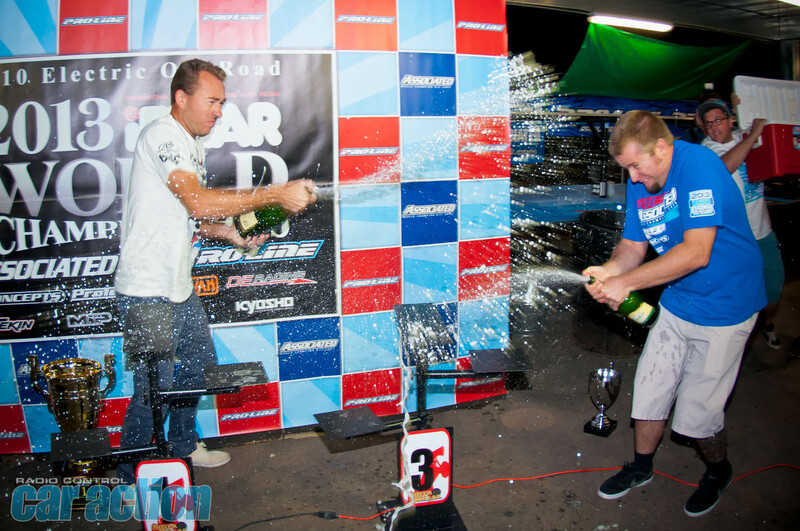 A Main Hobbies CEO Kendall Bennett personally handed gigantic cups to each of the podium finishers before the photos during the trophy ceremony, and then the top three popped the champagne corks.